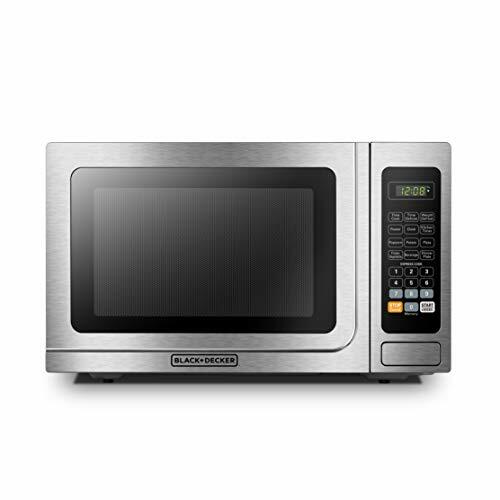 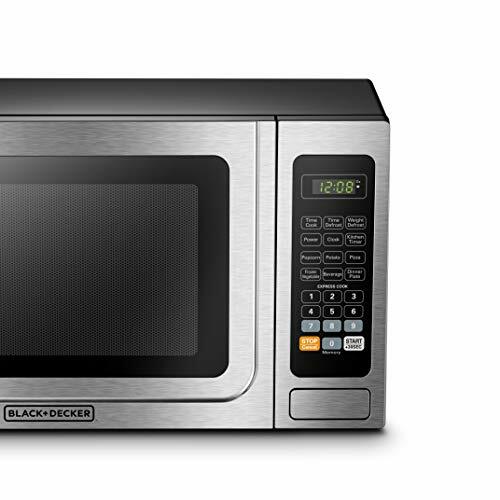 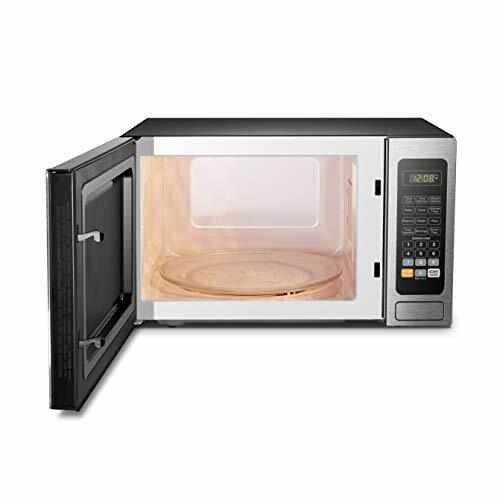 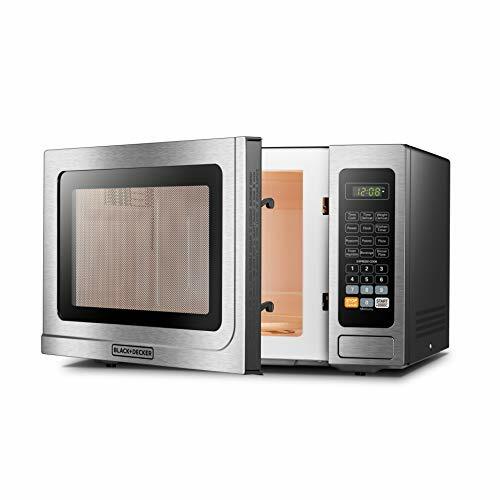 This professional-style Black + Decker 1.4 Cubic Foot 1000 Watt Stainless Steel Microwave features 10 power levels, removable glass turntable and a spacious interior. 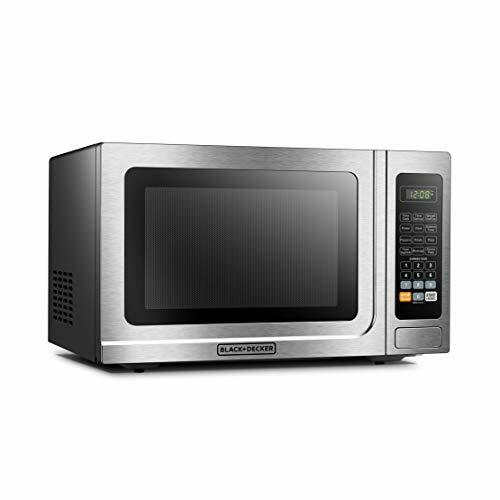 Advanced technology provides even heating and defrosting for great results without overcooking. 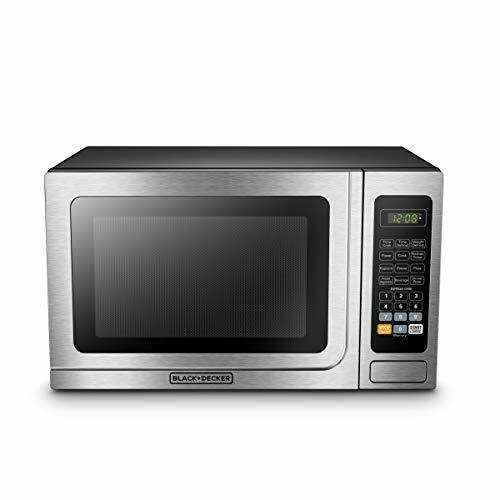 Optimally cook or reheat six of the most popular food items with the touch of a button. 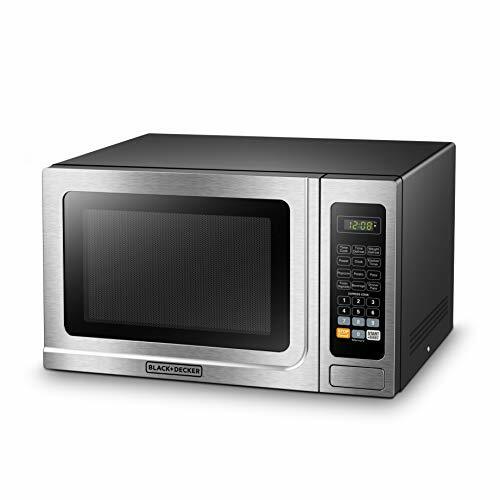 Choose power levels up to 1000 watts. 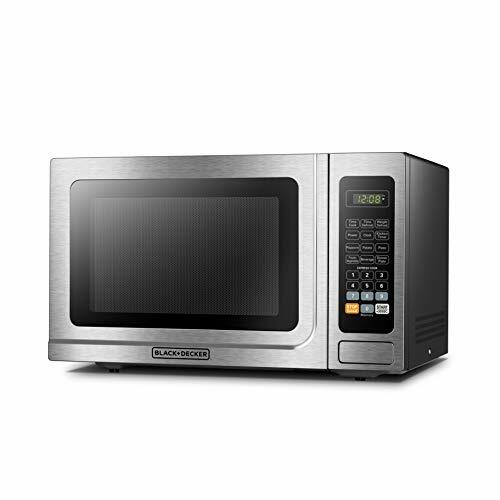 The large LED digital display has a clock function and can also display a countdown timer as well as the cooking time remaining.